I took this after a storm, so there’s a bit of debris. But it’s a wildflower growing in the wild, so it shouldn’t look manicured, right? It also goes on to say that the seeds are spread by ants and mice. Um, ewwww. No wonder they’re rare–we have cats in the neighborhood. 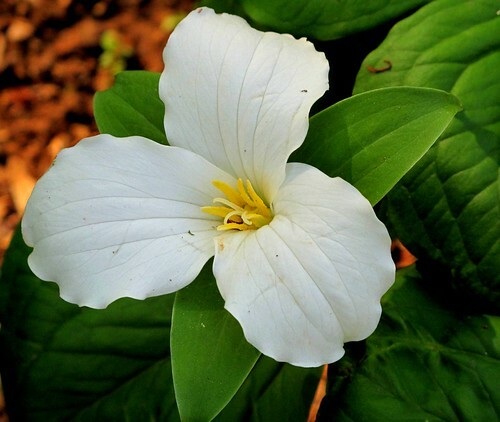 This entry was posted in flowers, gardening, photography and tagged trillium grandiflora. Bookmark the permalink.